IN SEARCH OF RELIEF FOR HIS BACK PAIN, LINZIE KRAMER DISCOVERED CRYOTHERAPY – or cold shock therapy, as it’s commonly known today – on a trip to Europe. With just one treatment, he experienced amazing results. Kramer advises franchisees to promote the business early on. “Building relationships and creating partnerships in the community is essential,” says Kramer. “That’s how we get people through the doors; word of mouth. If you are passionate about helping others recover, then this business should be very fulfilling,” he adds. US Cryotherapy is a family affair. Founders from (left to right): Rob Kramer (COO), Linzie Kramer (deceased), Kevin Kramer (CEO), Todd Kramer (Director of Corporate Operations). 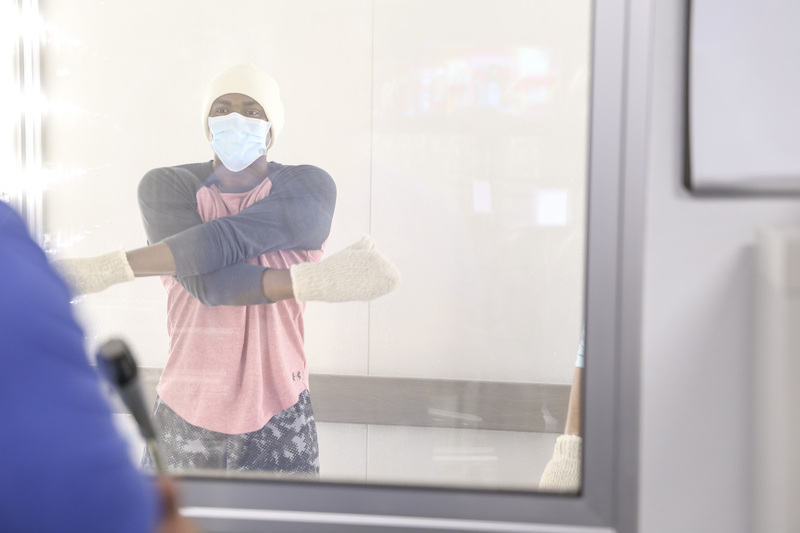 While receiving a 3-minute treatment in the large (C4) chamber, a customer is moving and stretching while being observed by a technician through the window.